The government today confirmed that an electrically powered bicycle, may not be sold in this country because its top speed exceeds legal limits. The Turbo e-cycle's US-based creator, Specialized, was all set to peddle its first battery-equipped bike in coming months across the EU. But with a top assisted speed of 28mph, it will not be permitted in the UK, it has emerged. The Department of Transport today confirmed to Reg Hardware that "electric motors must not be able to propel [an electrically-assisted bicycle] when it is travelling at more than 15mph". 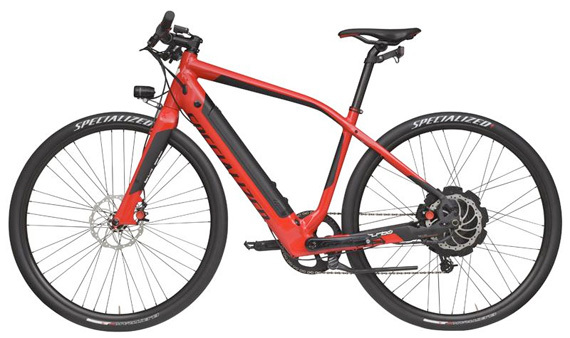 The Specialized Turbo packs a 250W rear hub motor, an integrated 342Wh Li-ion battery and carbon fibre disc brakes with a regenerative charging feature. The battery is said to last for an hour at top speed, although it will charge in roughly two hours. 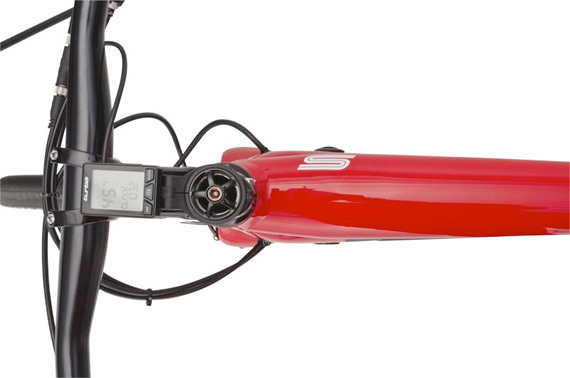 A unit on the handlebar provides power level and battery status as well as speed, time and distance figures. There is also the ability to tweak the bike's integrated LED lights. It all sounds very snazzy, but for €5499 (£4593), you'd expect it to. The bike will go on sale across Europe in limited numbers this May, followed by further shipments expected in the autumn. It will only be permitted for sale in countries that have introduced 'superbike' classes of e-bike, such as Germany, which upped the limit from 15mph to 28mph, but insists such vehicles stick to the road only.